If you are looking for a great place to live in Burtonsville, you have just found it. Townes of Gloucester couldn’t be more conveniently located. Situated midway between Baltimore Md and Washington D.C. makes this neighborhood an ideal location for commuters. This proximity to two of the largest job markets is another plus the Townes of Gloucester. If you don’t like to drive to work, no problem, just hop on the Kiss and Ride that is within walking distance to most homes in the community. For more shopping and activities downtown Silver Spring Md is located about 15 minutes South on Route 29. Or you can choose to go 15 minutes North to Columbia Mall in Columbia Md. The units in Townes of Gloucester in Burtonsville Md. are three level town homes. Most units have three bedrooms, and two and half baths. The taxable living area for many units is about 624 square feet. Floor plans have a basement on the first floor, the main level has a living room, dining room, kitchen and a half bath. The master bedroom and two smaller bedrooms are located on the third floor. Some units have a garage instead of a basement. The common areas are well kept by the condo association. Townes of Gloucester has a community pool and three different play grounds for children. Additional parking can be found throughout the community. As of this moment, high school students can choose between Paint Branch, Springbrook and Blake high schools, depending on what best fits their interest. Being located between Washington D.C. and Baltimore Md. has its advantages. Besides the many job opportunities in both cities, the area lends itself to fun activities on the weekends. Washington D.C. is full of historical landmarks and museums. Many Marylanders enjoy the D.C. nightlife. Baltimore has the Inner Harbor and some great restaurants. Townes of Gloucester in Burtonsville Md. is a great place to call home. You will not be disappointed if you decide to live here. You can find homes for sale in Townes of Gloucester (if there are any currently for sale) as well as all Burtonsville homes for sale by clicking the link. 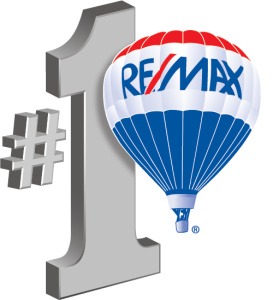 Would you like to know how much your Townes of Gloucester home is Worth? There are a number of sites on the internet that will give you ‘estimates’ for what your home will sell for. These sites use public records and usually some kind of algorithm to try to produce a value for your home. These sites also publicly state their ‘error rates’. That means they aren’t correct, they are simply an estimate based on incomplete date. I would love to do a free comparitive market analysis of your home or condo in Burtonsville and let you know what could expect to get in today’s market if you are considering selling. My valuation is based on up to the day data for homes that have recently sold in the area. My valuation is not based on a formula that relies on public records which can take months to update. Please visit my website in order to get your free property evaluation for your Burtonsville home or condo. « Homes for Sale in the Lakelands Neighborhood Gaithersburg Md.